Caserma Ederle and Del Din have a website that you can find general information about your Vicenza move and the community. Use the Relocation Readiness Program Manager at the Military OneSource website to organize your move. If you are excited about doing some traveling, I recommend checking out the Vicenza MWR website. Here are the steps you will take to PCS to Vicenza. The following items are somewhat in sequence, but everyone’s timeline is different, your PCS may not follow these steps exactly. 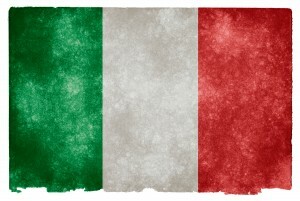 As soon as you have a good idea that you are heading to Italy or if you already have orders, attend a levy brief. Spouses should attend along with the soldier. You will get a good deal of information on your move. Most spouses I have spoke to suggest that you bring your medical records and children’s educational records to the brief. Learn about the financial part of your move, such as reimbursement of travel expenses and other entitlements, at the Defense Travel Management Office Website. Your dependents must have command sponsorship to come to Italy. It is extremely difficult to obtain command sponsorship from Italy, so make sure you get it done while you are still at your current duty station. The levy brief will describe the process of command sponsorship, but much of it centers around an Exceptional Family Member Program (EFMP) screening. This screening will determine if the Vicenza community has the required medical facilities and services for your family members. If you are getting married en route, discuss your options with your current chain of command. Once you receive your orders for Caserma Ederle, you need to log on the European Sponsorship Gateway. This will allow you to be assigned a unit sponsor. If you can’t access the website, contact the 173rd Brigade’s S-1 office. You will then be assigned a sponsor. You will receive in-depth information on your new unit and guidance on specific issues from your sponsor. Contact the Ederle Inn to reserve a room as soon as you have a PCS date. Ederle Inn has a variety of rooms from typical hotel rooms (for couples) to suites (for families with 3 or more children.) Designated “pet” rooms, for those traveling with animals exist. The suites may be offered to smaller families on a space available basis, so it is worth it to ask for a suite even if you don’t think you will qualify. Depending on housing availability, some people spend as much as six weeks in the hotel before securing permanent housing. Ederle Inn fills up quickly at peak PCS times. The front desk of the hotel can reserve you a room at an off-post hotel if no rooms are available. Typically the government will pay for your temporary quarters until you find permanent housing. You will have to re-validate your temporary living allowance every ten days. Dependents may NOT travel without an official (no-fee) passport and an Italian Visa. Make sure you begin the process of obtaining these documents as soon as you have orders. Initially, you will fill out the paperwork for the official passport at the travel office. It will take about a month for the passport to arrive. After the passport gets there, the travel office will help you fill out the paperwork for the Italian Visa then send it to the Italian Consulate for approval. You will wait another month or two to have the Visa approved, once it arrives the travel office will contact you. The documentation required for this passport includes birth certificate, marriage license, and four passport photos. Head down to your local SATO or Carlson Wagonlit Travel and book flights when you have a firm PCS date. You will fly into Marco Polo International Airport in Venice. Typically, the travel agency will book your flight through Delta, but other airlines are available. If possible, book a flight direct from New York, Philadelphia or Atlanta to Venice. The flight from New York is shortest at around 8 hours. If you cannot get a direct flight, you will stop over at another airport in Europe and change planes. If this is the case, make sure you leave yourself ample time to clear passport control and make your connecting flight. Let your sponsor know when your flight arrives. They may come and pick you up at the airport. If not, there is a military shuttle that runs multiple times daily from/to Caserma Ederle. To use the shuttle, you will leave the baggage collection point and turn right. Look for the Military Liaison Desk, it is on the left and is clearly marked. Staff will be there to assist you. If there is no one there, pick up the phone to get assistance. The government only pays to ship one vehicle, unless you are shipping a motorcycle in household goods. It can take up to two months for your car to arrive. Think seriously about the type of vehicle you plan to ship. Italian roads are narrow and cars often end up with numerous dents and dings. If you have an especially large truck or other vehicle (a Suburban, for instance), you may want to consider downsizing it if you can. A small SUV or sedan fits well in the smaller parking spaces of Italy. You can bring the bigger vehicles and the more expensive vehicles, just know that there may be issues with parking and damage. You can ship additional vehicles at your own expense. The “Where is My POV” website contains information on where you go to ship your car and additional regulations. Here is an overview, but check with the website to ensure things have not changed recently. When you ship your vehicle you need 7 copies of your orders, current registration, ID Card and driver’s license. The vehicle must be cleaned and personal items removed. They do allow you to leave hand tools, a car seat, emergency items (jumper cables, jack), and spare/snow tires. Your car must have less than a quarter tank of gas. They are very serious about this…your car won’t ship with a half-tank. You will either have to pay someone to drain the gas or drive around and use it all up. Neither option is very appealing. Your car must be insured to drive in Italy to be shipped. The car will not be released from the port until you have local insurance. At the time I write this, the only two companies that insure the military service people in Italy are Geico and USAA. Expect your car insurance rates to increase a large amount. There are tons of fender-bender accidents in Italy and insurance costs reflect this fact. You will have to budget accordingly. You will need to pick up your vehicle, pass a safety inspection and then register it before driving on post. Remember to plan on at least 4 weeks up to possibly 8 weeks to receive your vehicle. You will either need to plan on shipping your vehicle early and using a rental/borrowing a vehicle in the U.S. before you leave OR go without a vehicle for a few weeks in Italy. You can lease a car in Italy, but it is fairly expensive compared to the U.S. Houses in Italy tend to be smaller with less storage than houses in the United States. Electricity is different in Europe, so your 110 volt appliances will require a transformer to operate. The exception to this is if you are assigned post housing on Villagio. There you are able to use both 110 V and 220 V appliances. Housing issues you one large transformer, but you will likely end up purchasing several others depending on what you bring along. Think about which appliances you really use and need before you pack them. You are authorized three shipments: storage, unaccompanied baggage, and the household goods or regular shipment. Storage is for items that you wish to keep, but don’t want to take with you. If you want to store your piano, rather than ship it, the government pays for it. Unaccompanied baggage is a smaller shipment that contains things you will need right away at your new home. This shipment travels via air and should be available by the time you find your new home. The regular shipment contains everything else. This can take from a few weeks to a few months to arrive. The service member sometimes qualifies for a professional goods shipment, ship all books, uniforms and items used on the job. This will lower the weight of your household goods, so take advantage of it if you can. Prepare your animals ahead of time for your move. You must meet very specific requirements to move your pet into Italy. Italy requires a Pet Passport and you must have vaccinations received at a specific time. Airline regulations have gotten more restrictive and it is difficult to find an airline that will ship your pet, if they are not small enough to carry-on. Check with your local military veterinarian to receive the most up-to-date information.